Since 1969 Anglia Autoflow Ltd has been designing, developing and manufacturing a range of innovative and leading-edge products for the food processing industry. The experience of which, has ensured that the company has developed an enviable worldwide reputation for its outstanding standards of quality and reliability. 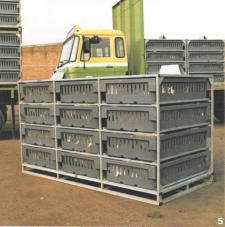 Easyload Drawer System was introduced in 1981 and has been a global success, with hundreds of systems operating in climates ranging from the severe cold of Russia to the extreme heat of the Middle East. Easyload Controlled Atmosphere Stunning can be supplied with new systems and retro fitted to most existing installations - improving bird welfare and product quality. 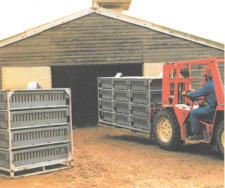 Easyload Harvesting automates catching and loading of birds - reducing labour, stress and damage. 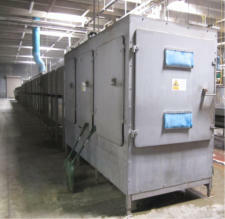 Anglia Autoflow Ltd also provides a wide range of Conveying Equipment and Tray Washing Systems.